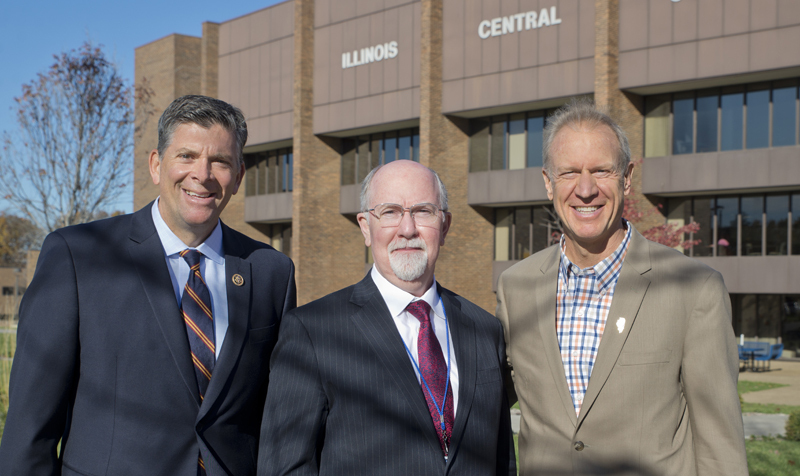 Illinois Central College welcomed Governor Bruce Rauner and Rep. Darin LaHood on campus today in support of community colleges and fostering apprenticeship opportunities with local businesses. ICC Students had the opportunity to see and meet with the governor before meeting with local employers partnering with ICC to give students hands-on education through apprenticeships. All week long ICC will be hosting events dedicated to fostering support of apprenticeships in Central Illinois. 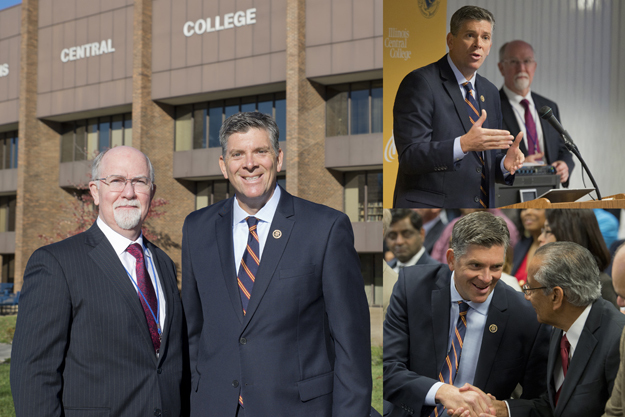 Illinois Central College is the educational partner for the Greater Peoria Economic Development Council’s Central Illinois Center of Excellence for Secure Software (CICESS) initiative. 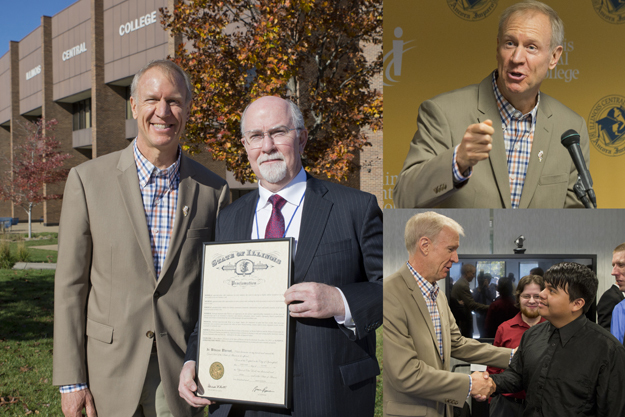 Thank you to Governor Bruce Rauner, Rep. Darin LaHood, Representative David Leitch, members of the Greater Peoria Economic Development Council, members of the ICC Board of Trustees and Educational Foundation Board, ICC Cabinet, and all of our apprenticeship business partners for joining us today!